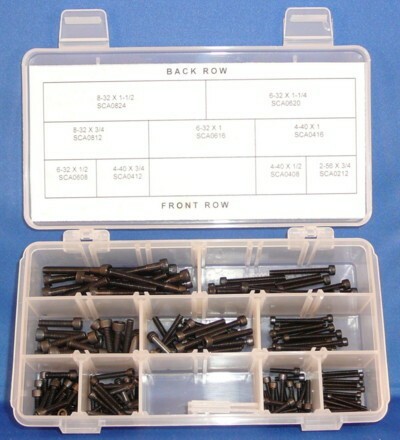 2-56, 4-40, 6-32 & 8-32 Socket Head Cap Screws, 181 pieces. 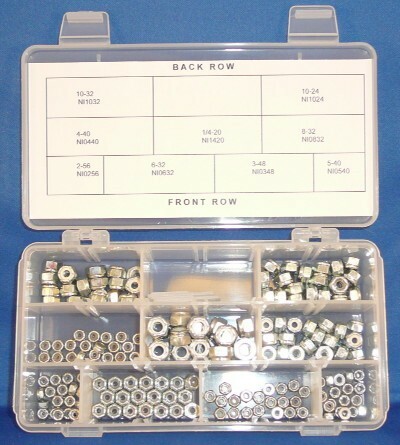 20 each of 9 small socket caps, alloy, black. 2-56 & 4-40 Socket Head Cap Screws. 4-40 & 6-32 Socket Head Cap Screws.